Able to accommodate the unique needs of each space and budget, ETC’s motorized hoists and hoist-control systems raise and lower stage curtains, lighting equipment, backdrops, projection screens, scoreboards and more. They’re a safe, intelligent choice for any theatrical, live-event or architectural installation. 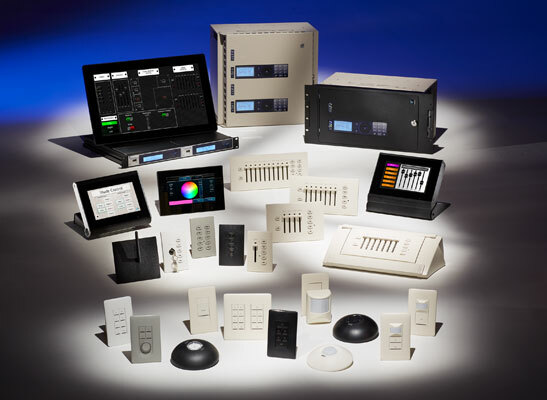 Since we built our first console in 1975, ETC systems have been at the forefront of lighting control. Designers and programmers of all experience levels can choose from four console families to find the right solution and operational style to accommodate your current and future needs, and fit your budget. And you’ll never miss a cue with our CueSystem backstage communication network by GDS. ETC manufactures the most comprehensive systems on the market, which meet the challenges of modern-day architectural lighting. We have four product families that feature reliable, well-supported and easy-to-maintain tools for any venue, from a single room to large museums, massive office complexes, convention centers and theme parks. ETC offers a full range of power-control options for dimming, switching, and constant power. Always advancing the technology of power control, we provide a combination of centralized or distributed systems to suit any application, along with company switches and a unique line of emergency-lighting control products to keep your venue safe. The ETC Source Four is the most popular fixture in the industry, and comes in a variety of formats for every application indoors and outdoors. We provide architectural fixtures for retail, hospitality, and themed environments, as well as award-winning GDS by ETC LED luminaires for front-of-house auditorium lighting and backstage running-light applications. You can find a fixture for every position in the theater, architectural installations, auditoriums, the studio and beyond. ETC distribution products have been engineered for easy customization, installation and service. Combine data and power for your intelligent lighting requirements with optional built-in DMX or Ethernet ports. Every project is unique, and we give you the individual attention you need: prompt quotes, customized drawings and customized products. ETC’s powerful array of networking-infrastructure and gateway products provides the highest degree of reliability and interoperability. Our networking products use industry-standard ACN and streaming ACN (sACN) communications for simple device communications and to migrate functions of existing protocols, such as DMX, 0-10V and DALI, into a network-native environment.